California is an incredible vacation destination for so many reasons! Its rich history combined with its breathtaking scenery makes it one of the most fascinating states in the country. While you’re searching for the best things to do around California, you’ll probably come across the Calaveras Big Trees State Park. An attraction filled with stunning natural wonders, this is a spot that is not to be missed. Take a look at everything the Calaveras Big Trees State Park has to offer and make plans to see this iconic landmark today! You can visit the Calaveras Big Tree State Park anytime during daylight hours (sunrise to sunset). Their Visitor Center is open daily from 10:00 a.m. to 4:00 p.m. if you need assistance. Located in Arnold, CA, this park is about a two-hour drive from Yosemite National Park, making it one of the best day trip destinations in the area. You’ll have to look straight up to see the full height of these magnificent trees! The Calaveras Big Trees State Park is made of countless, towering sequoias that are bound to take your breath away. If you want to experience this attraction to the fullest, be sure to take a guided hiking tour! You can also take a guided snowshoe tour in the winter. Picnic tables are restrooms are provided so you can spend the entire day here enjoying the scenic, peaceful environment! Before you go, be sure to stop by the Visitor Center; it contains a museum and gift shop that are worth seeing. The Calaveras Big Trees State Park also hosts a variety of events, like nature classes and festivals, to entertain and educate the local community. After you’ve explored the Calaveras Big Trees State Park, you might want to visit more attractions similar to this one! If you’re wondering where to see big trees in California, you can also visit the Merced Grove and the Mariposa Grove of Giant Sequoias. These two areas are located within Yosemite National Park and contain their own additional activities. There are so many things to do and see in the California area! 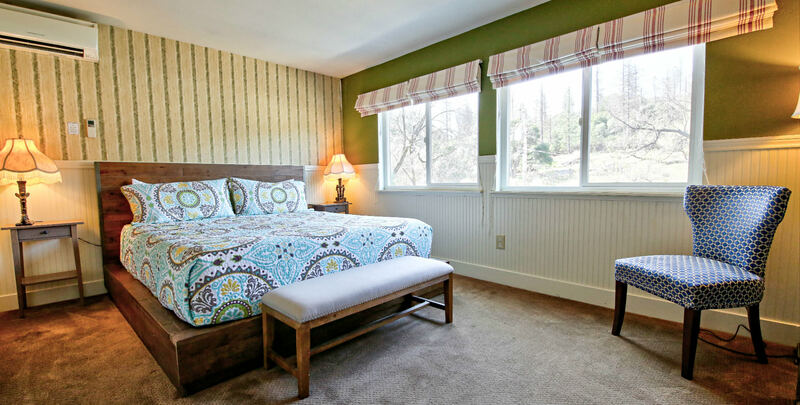 Complete your exciting getaway by settling down in the comforts of Hotel Charlotte, a historic bed and breakfast in Groveland, California, located at the gateway of Yosemite National Park. We offer luxurious lodging and outstanding amenities; we can even book you a Yosemite private tour, as we are partners with Yosemite Family Adventures. Here at our bed and breakfast, you can choose from staying in one of our twelve lovely rooms or renting one of our cozy apartment rentals, which have the perfect amount of space for families. We also have an beautiful living room, friendly and helpful staff, and even our very own Fork and Love Restaurant to accommodate all of your needs! Don’t wait another minute to start planning your dream vacation; check our availability and book your stay today!